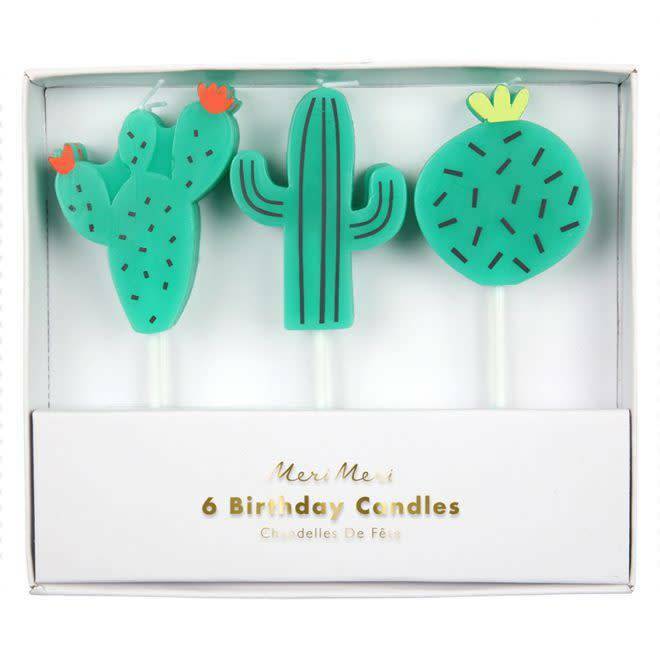 Add prickly fun to your birthday celebration with these cute cactus candles in 3 designs. The candles come in an illustrated presentation pack with candle holders. Pack of 6 candles in 3 designs. Neon print detail. Maximum candle height: 5.5 cm. Box size: 13.5 x 12 x 2 cm.